EL SEGUNDO, CA--(Marketwired - Jan 6, 2015) - Fuhu, Inc., the creator of the award-winning nabi® tablet -- the first Android tablet built for kids -- and foremost innovator in technology for kids and their families, announced today the nabi Square HD™, the first-ever 4K action camera for kids that is shock-proof, drop-proof and waterproof without a case, built for the rugged and extreme adventures of childhood. Unlike most high quality cameras that require protective gearing and an attentive parent, nabi Square HD was created for parents to comfortably leave the camera with their kids to capture child's most daring and precious moments -- whether biking for the very first time or child's first trip to the beach. nabi Square HD is designed to work with a child's outdoor activities such as biking, running, jumping or swimming, while capturing the most vivid and crisp still image in 8MP or video in 4K. Powerful and durable, nabi Square HD is a professional grade camera dedicated to capture the extremeness of childhood and family-first moments through the eyes of a child. "There is nothing more precious than capturing those key moments of childhood; nabi Square HD let's parents do that from their child's perspective," said Jim Mitchell, CEO of Fuhu. 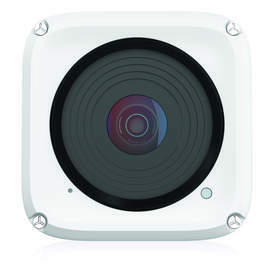 "nabi Square HD is a high quality camera that parents can comfortably give to their kids. 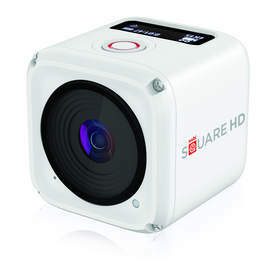 The Square HD has a way of delivering those moments in a manner only kids can." The new nabi Square HD offers professional grade experience with the most advance technology for smooth video capture and crisp photo resolution, with advanced features such as built in Wi-Fi, NFC technology, and a free mobile app for full camera control and playback. Square HD is created to survive drops from the monkey bars, diving board, or kitchen table. The camera is waterproof up to 32 feet, shockproof, drop-proof up to 4 feet, and sealed against dust and dirt -- all without needing an additional case. 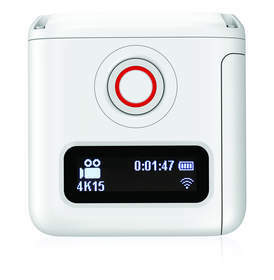 nabi Square HD action camera captures ultra-high definition videos up to 4K and photos up to 8MP/6MP wide angle. Smooth video capture up to 4K 15fps / 1080p 60fps/ 720p 120 fps; and automatic low-light mode. A free mobile app allows users to stream live feed, view footage, and control camera settings including camera mode and resolution, all wirelessly from your nabi tablet, Android or iOS device. Enjoy one-tap connect with any NFC-enabled device. Customize and personalize your camera with optional mounts such as nabi Dive Case for deeper underwater adventures or Action Case and accessories featuring kid's favorite characters to transform the look of the camera. nabi Square HD camera comes with a free camera mobile app, nabi Square HD Action Case, flat adhesive mount, curved adhesive mount, rechargeable Lithium battery, and micro USB to USB cable. nabi Square HD will be first available in January in limited release at suggested retail for $169. Coming soon are fun and functional accessories including action mounts and customizable cases for personalization. The debut of nabi Square HD is taking place as Fuhu closes an amazing year of prestigious accolades and ground-breaking product releases. In early 2013 and 2014, Inc Magazine named Fuhu the #1 Fastest Growing Company in America for a second consecutive year, and Forbes named Fuhu the #1 Most Promising Company in America. Most recently, Fuhu was honored as the #1 Fastest Growing Company in North America in the Computer/Peripheral category on the Deloitte 2014 Technology 500™ list. Also, Fuhu was named a Kidscreen "Top 50" for being one of the top 10 digital media companies worldwide. Fuhu also had a stellar 2014 with the debut of a number highly anticipated product lines including the category-defining nabi Big Tab HD ™ 20" and 24", the nabi DreamTab™ HD8, and the recently launched nabi Pass, a first-of-its-kind subscription service for kids featuring unlimited learning with Wings Unlimited, apps, games, videos, books and music, refreshed and curated specifically for kids ages 3 to 14.
nabi Square HD, the 4K action camera for kids that is shock-proof, drop-proof and waterproof without a case, built for the rugged and extreme adventures of childhood. The new nabi Square HD offers professional grade experience with smooth video capture up to 4K, crisp photos up to 8MP and advanced features such as built in Wi-Fi, NFC technology, and a free mobile app for streaming live feed, full camera control, and playback. Powerful and durable, nabi Square HD is dedicated to capture the extremeness of childhood and family-first moments through the eyes of a child.